What can I say about Hiromi Uehara? She’s not exactly easy to put into words. To define her the way humans define things, I guess I could say she’s a Jazz pianist virtuoso and composer from Japan—But that’s just scratching the surface. Not even, really. More like ‘tickling’ the surface. I use the term ‘Jazz’ loosely, just as one should when talking about this particular genre. Her music transcends most people’s notion of what Jazz is as she blends hints of classical, pop, rock, and everything but the kitchen sink into a maelstrom of passion, emotion, and absolute purpose. Hiromi herself can’t even define her own music. You know what? Just watch this YouTube video of a live studio recording and then get back to this. Having been a devout fan of Hiromi since her 3rd studio album, Spiral, I finally had the opportunity to see her perform live with contrabassist Anthony Jackson and drummer Simon Phillips at Bailey Hall in Ft. Lauderdale this past Tuesday. 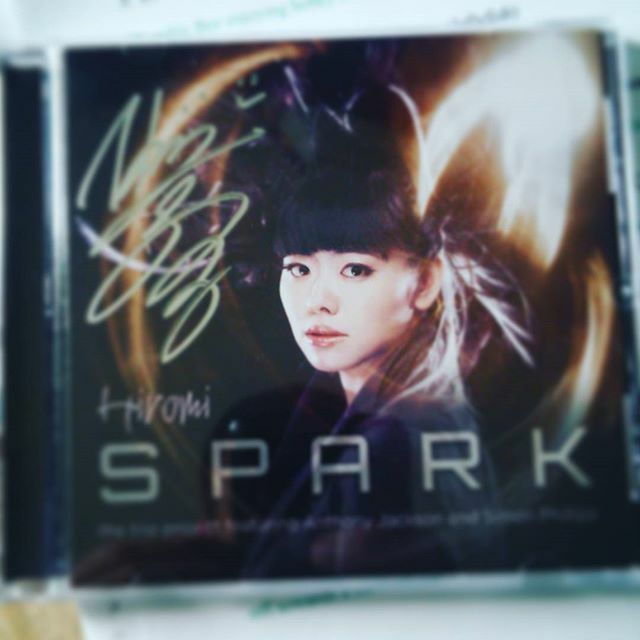 As part of their world tour for her 10th studio album, Spark, she lit a fire among us all with the ‘extremeness’ that is Hiromi. Opening with the title and debut track off of Spark, the trio immediately set the tone for the rest of the night. I wasn’t sure, going into it, whether they would just play from Spark or if they’d mix it up a bit with earlier tunes. In their one-and-a-half-hour set, I would say about half of what they played came from Spark, and the rest were from the previous albums. They strayed well off the beaten path too; each song was imbued with plenty of improv and new compositional ideas, which I was happy to hear. As intense and powerful as her studio albums are, I have to admit I was worried the ‘real thing’ wouldn’t live up. Oh, how wrong I was… If you want an idea of how intense her playing was, she broke a piano string during their opening song. A freaking piano string. How do you even do that? When they were cutting off the broken string afterward, Hiromi admitted she broke one during their sound check before the show, too. Perhaps one of the most unique qualities of Hiromi, at least in my opinion, is that for as intense and powerful her playing is on those crazy, fast tempo songs strewn with time signature changes; her slower, softer songs are just as intense with emotion. Not many artists can pull off such dynamism, and it’s what sets her apart. This was exemplified that night during her solo performance of Wake Up And Dream—A beautiful song seemingly lost in reverie itself. Then we have the drummer… I’ll tell you one thing, Simon Phillips is a madman—In every sense of the word. Hiding behind his massive drum kit, Phillips matched Hiromi’s intensity and fervor with his own crazy and intelligent style. He played what must have been a 10-minute drum solo during What Will Be, Will Be which would make anybody’s jaw drop. I honestly don’t know how the man played an hour-and-a-half straight the way he played. Truly your money’s worth right there alone. Bailey Hall provided one of those intimate settings where you almost feel as if you were sitting in on a band practice or recording session. It was perfect for this three-piece ensemble. The crowd consisted of a wide range of individuals. Being on a college campus and all, there were a lot of young fans, as well as many of the old jazz cats checking out the scene. What I love most of these sorts of performances is that the fans are always respectful to the performers and to each other. It was like we were all a part of this ride together. And when we got off, we had all shared some sacred bond. Perhaps it’s also telling of the state that Jazz is in today. A few of us ‘survivors’ are keeping the torch lit by supporting artists and supporting each other. It’s a byproduct of the almost underground nature that Jazz finds itself in today. All-in-all, Hiromi, Jackson, and Phillips put their entire selves into this performance. That much was abundantly clear. Because you could feel it. You could feel their energy and their bond with each other resonate and ensnare the unsuspecting audience. This concert will perhaps remain as one of the most memorable performances I will ever experience. This post originally appeared on HowzItSound.